In 1989, just prior to the fall of the Berlin Wall, Francis Fukuyama penned his famous essay, ‘The End of History?’. 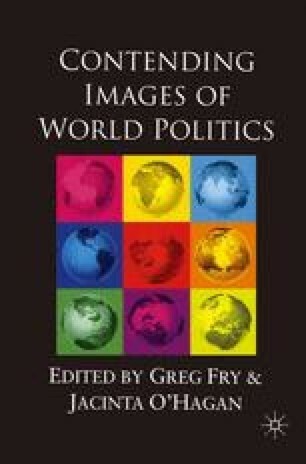 His dramatic image of a new world in which ideological struggle was coming to an end, and in which perpetual peace among the liberal democracies was in prospect, was the opening gambit in a debate about the essential features of the post-Cold War world that continued throughout the 1990s and is still with us as we contemplate the nature of world politics at the beginning of the twenty-first century. It is a debate about what John Lewis Gaddis (1999) has appropriately called the ‘geology’ of the international system, a concern with the ‘tectonic shifts’ and ‘seismic eruptions’ emanating from the underlying processes of history, rather than with the surface changes in geopolitics. This focus on fundamentals is fuelled by the perception on the part of many commentators that the developments of the closing decade of the twentieth century were momentous, indicating a transformation rather akin to the shift from the medieval system to the modern states system in the mid-seventeenth century.